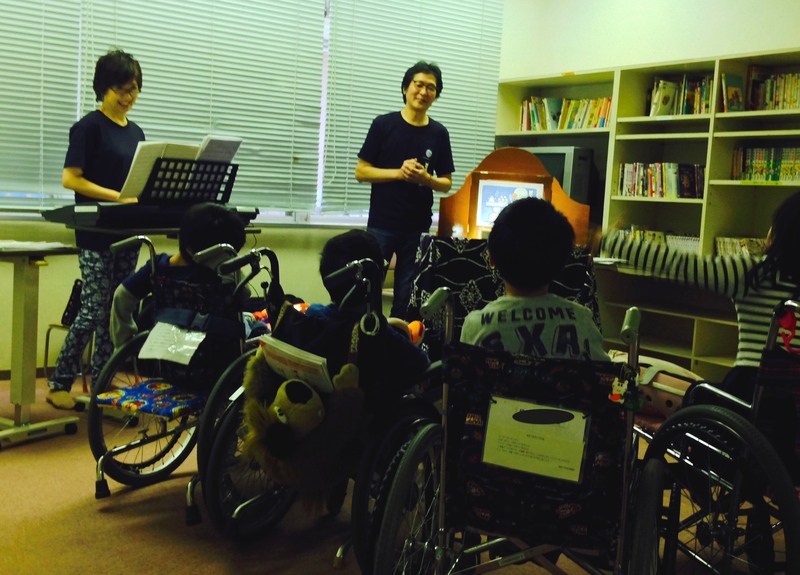 Readers’ theater was held at the facility for sever motor and intellectual disabilities attached to Kanagawa Children’s Medical Center. This activity is especially so popular at this facility that the members often visit children there. 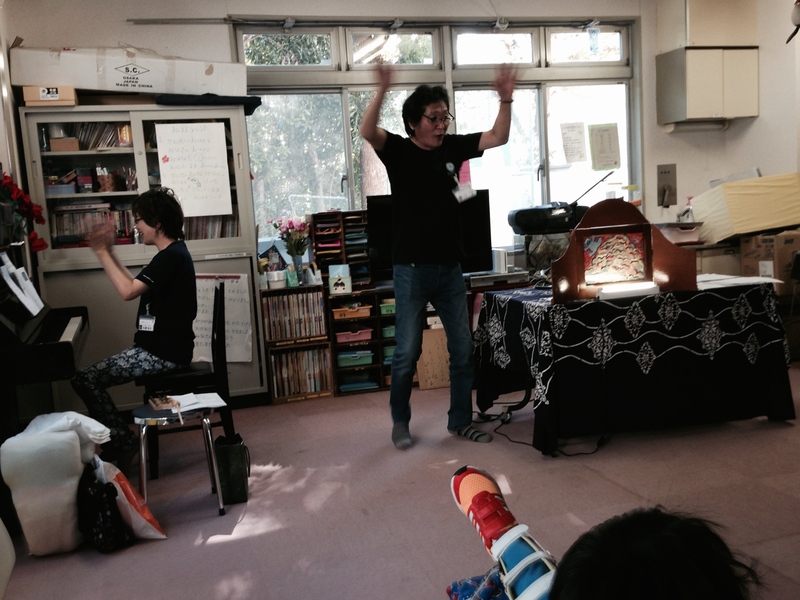 The stories with wonderful music not as just sound effects but nice songs and jazz standard music always make kids as well as staffs there happy and the place becomes full of happy smiles. 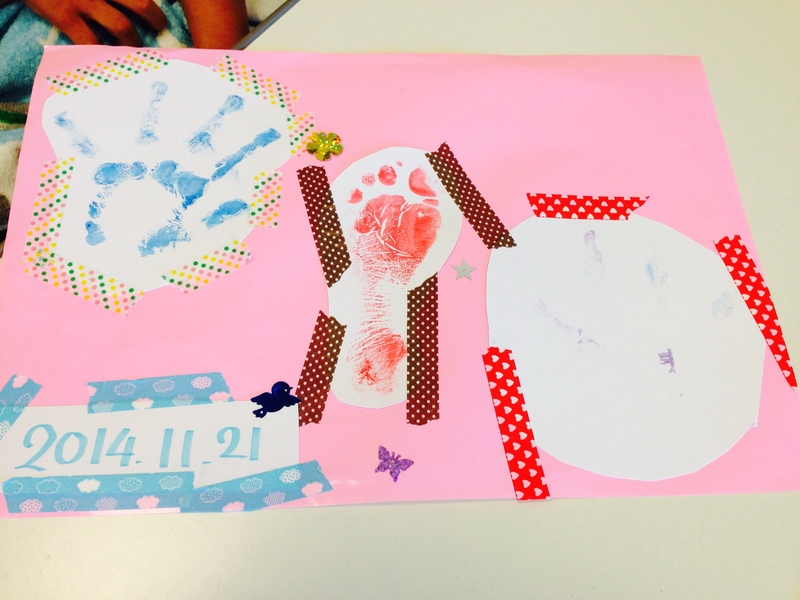 Children enjoyed hand stamp art. A boy even tried foot print, which was nice and cool to his sole. 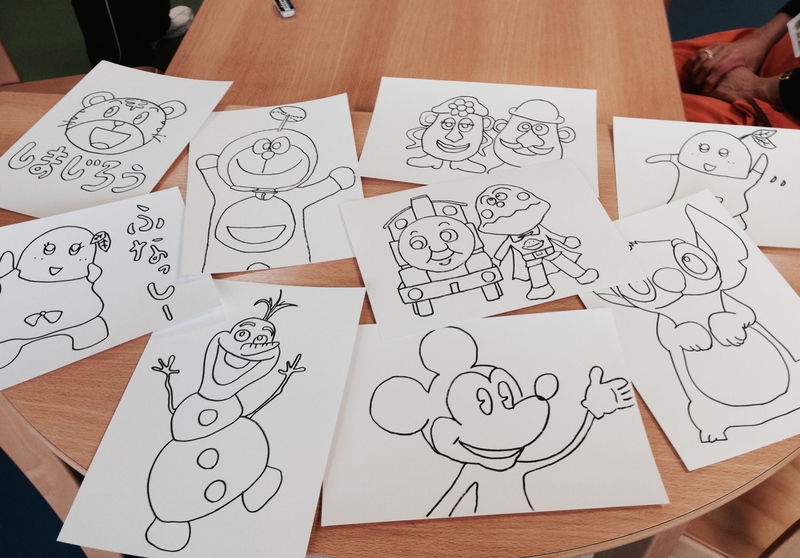 Lots of animals and anpanman were made by children, mothers and nurses. 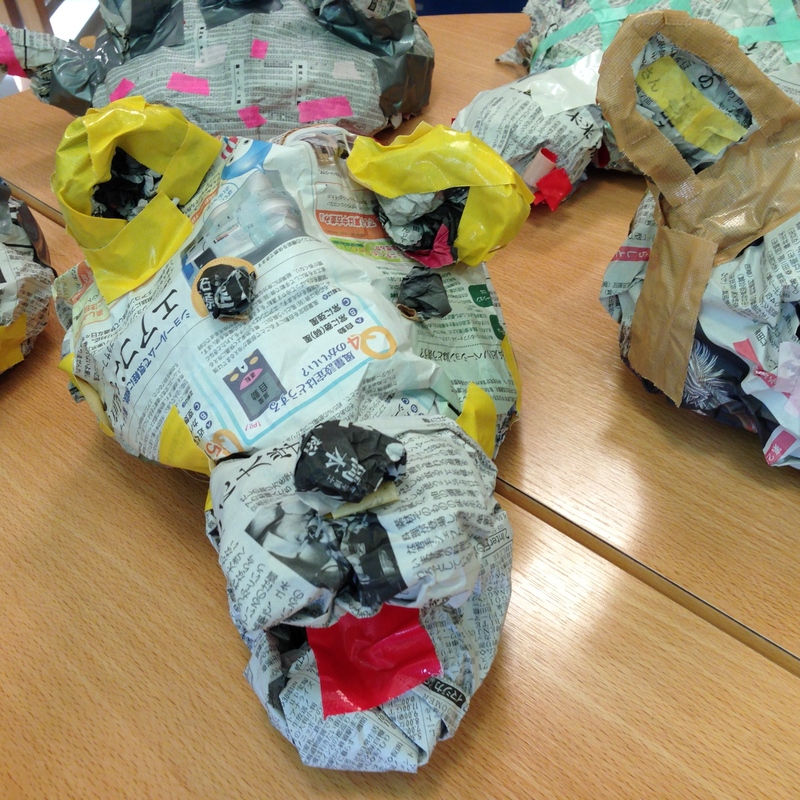 Small children also enjoyed tearing newspaper and rolling pieces of paper into a ball, lying on the mat in the playroom. This is really enjoyable workshop not only for chldren but for adults. Now the better style of the workshop is being under planning by the artist and nurses so that everyone can enjoy this even small kids staying in their beds can. 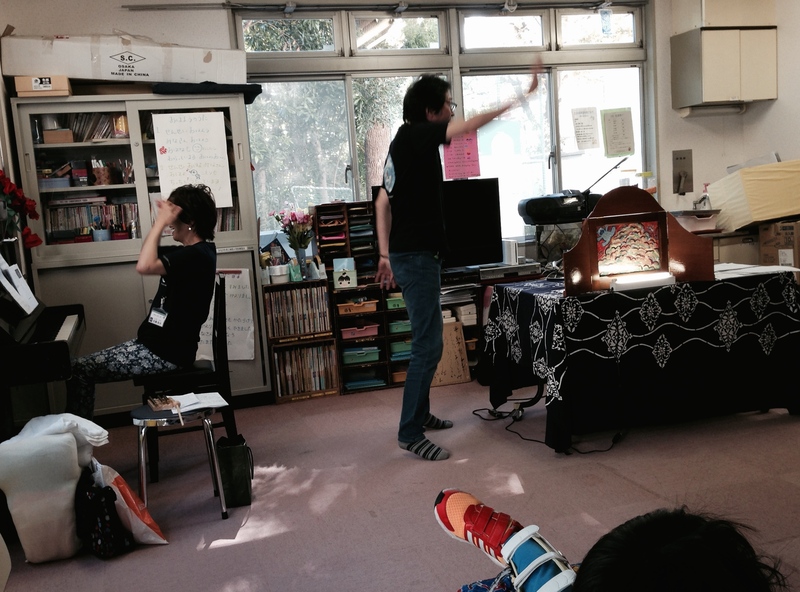 Children at Tsubasa and those of the nearby nursary school enjoyed Ittoku-san’s reader’s theater as region exchange gathering. 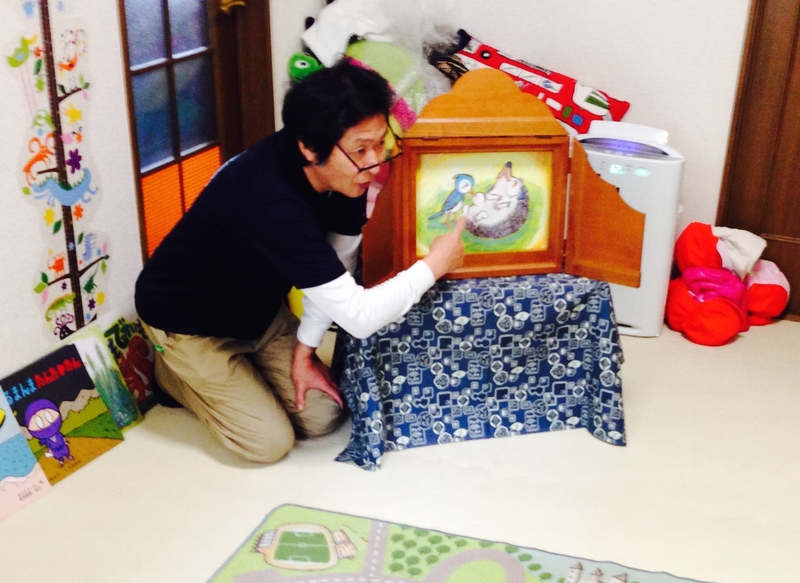 It was also a part of the action for inclusive education by Tsubasa. The communication through story telling and talking each other helps this action. No need to explain as long as we see these pictures. Both Kazuko and Ittoku seemed to put everything into her/his part. 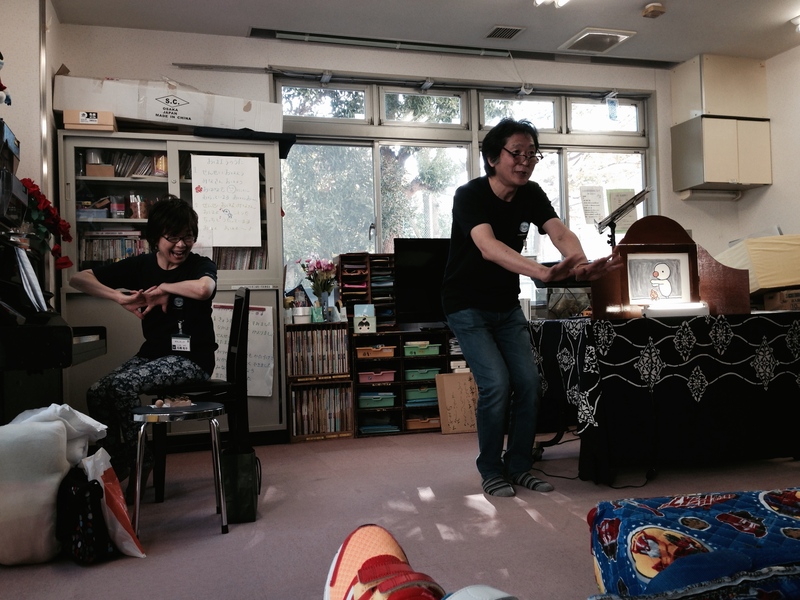 Also kids made a fool of them and went so deep that two performers nearly overwhelmed. 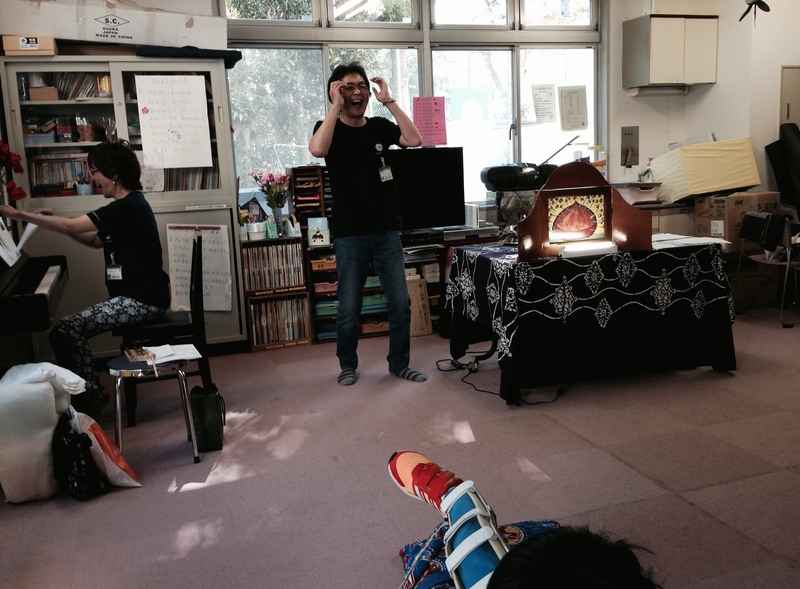 Kazuko’s ethnic music instrument was a hit too. 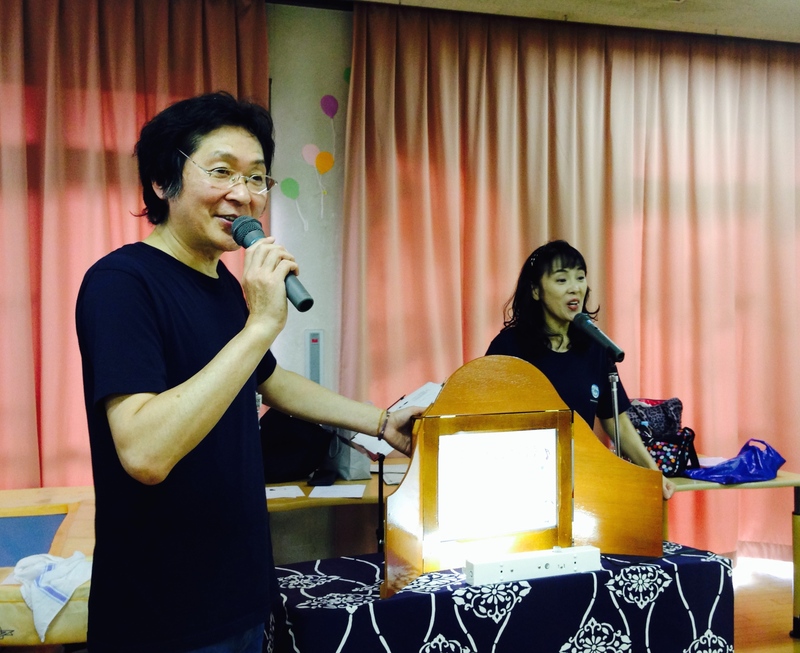 Mari-san’s recital at each bedroom in the pediatrics ward and “Let’s Sing Along!” at the infant home of Japanese Red Cross Medical Center. 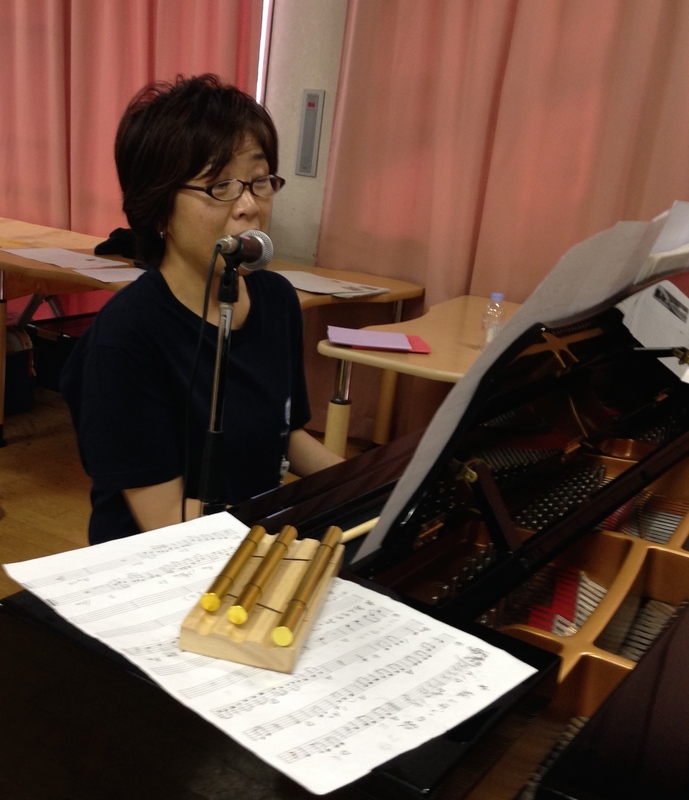 She answered every request and played anime songs, pop music and classical music. 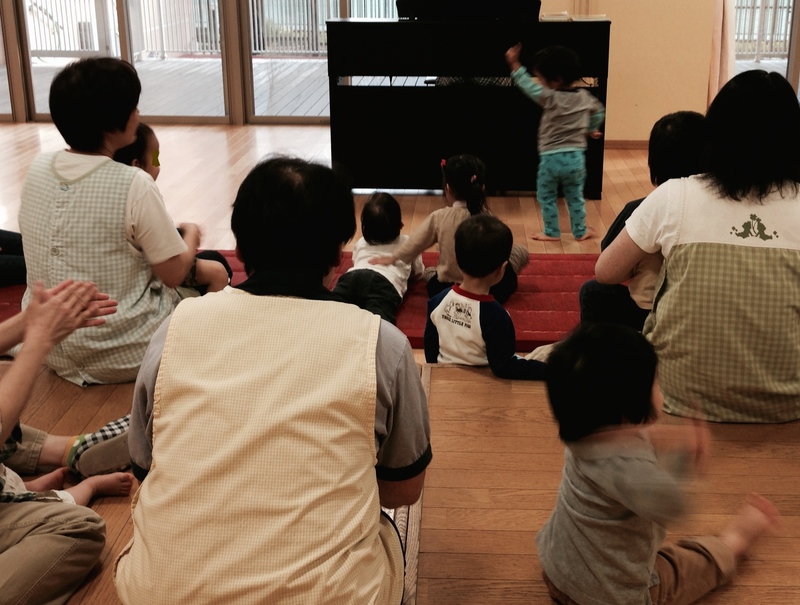 In the playroom of the infant home, every child danced to the music and walked around to the music. 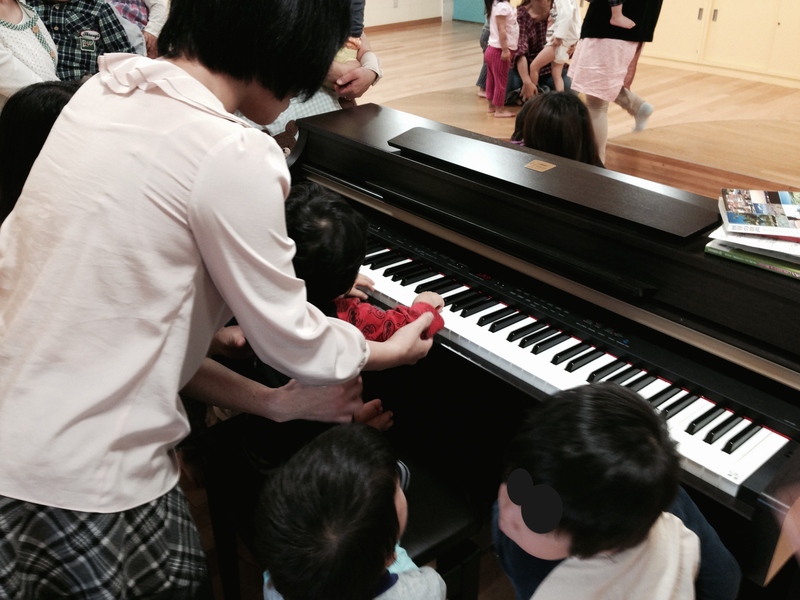 At the end, every kid gathered around the piano and touched the keyboard and they felt as if they played the piano on their own. 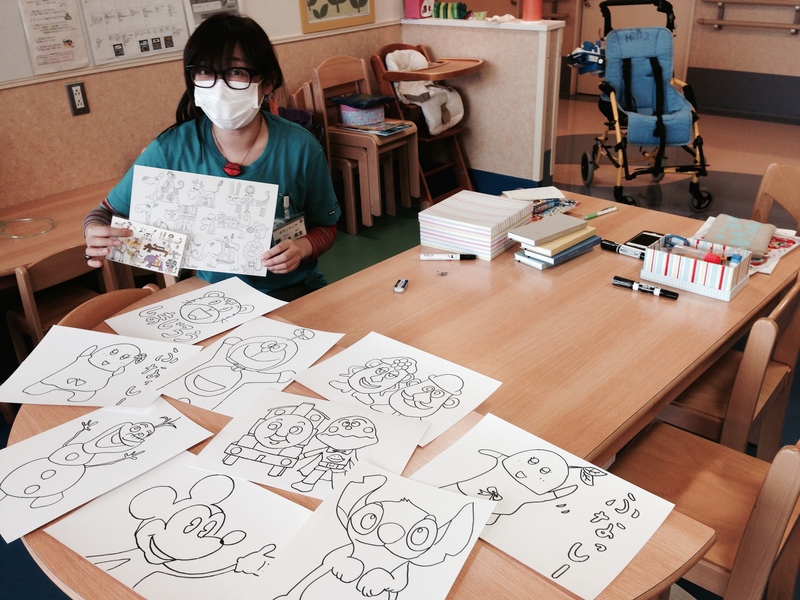 As nobody could came out of her/his prlvate room to the playroom for rest required, a nurse took orders of their favorite anime charactors and other things like flowers or vehicles etc..Then Mari-san answered evey single request and kept on drawing like 1000 fungos (hard baseball training) ! A boy on his buggy who could only come and take his Thomas gave Mari-san a present of a big smile like on behalf of all the other children!